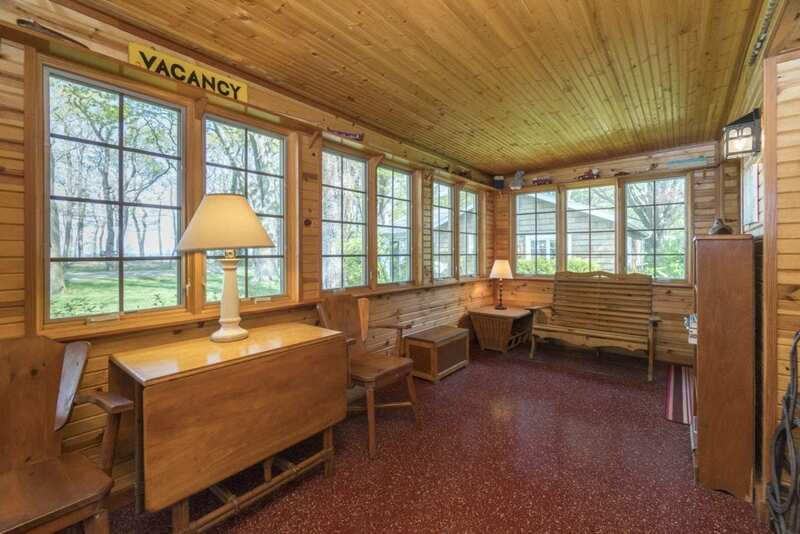 Lily’s Cottage, named after the previous owner, was formerly the resort office. 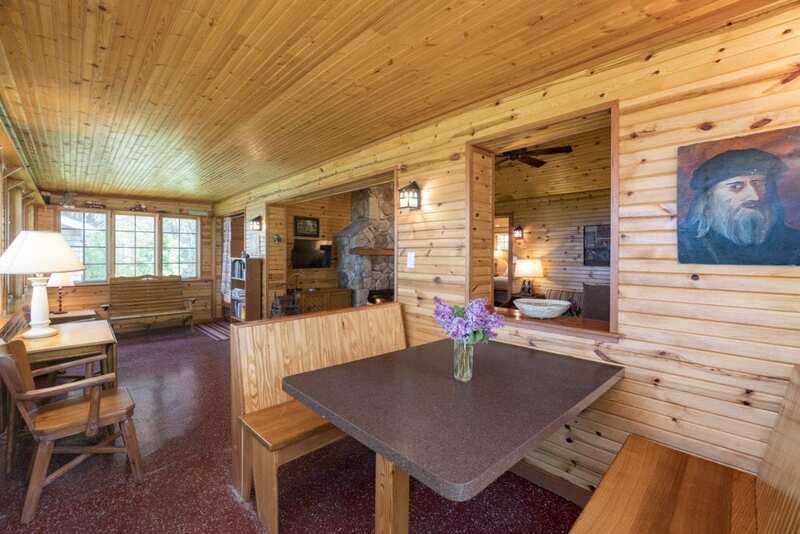 After many renovations and remodels over the last 75 years, this cottage is now one of the jewels of the property. 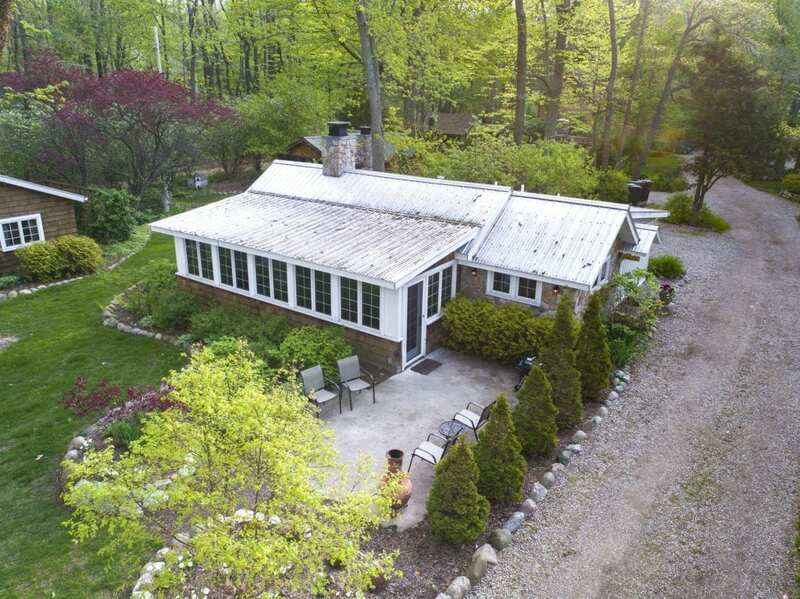 With panoramic views of Lake Michigan from the living room, four season sunporch, master bedroom and kitchen, Lily’s is the perfect place to watch the smoldering summer sunsets. 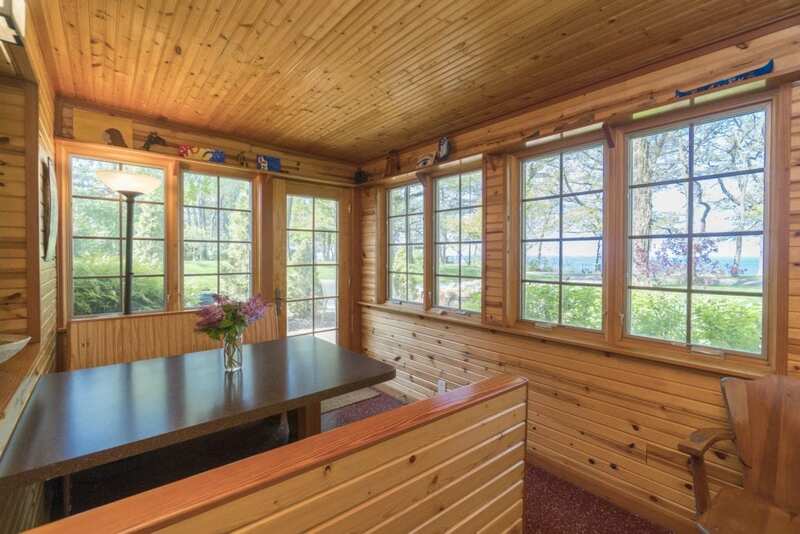 It is also a spectacular perch during the occasional storms that roll across Lake Michigan in the spring and autumn. 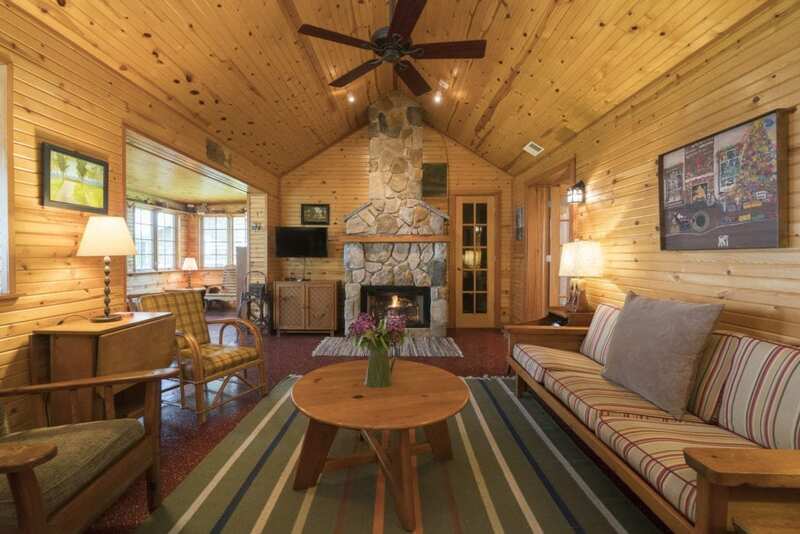 In front of the split stone, gas log fire place, is the place to be when the wind and snow are sweeping over the lake during the dynamic winter months. 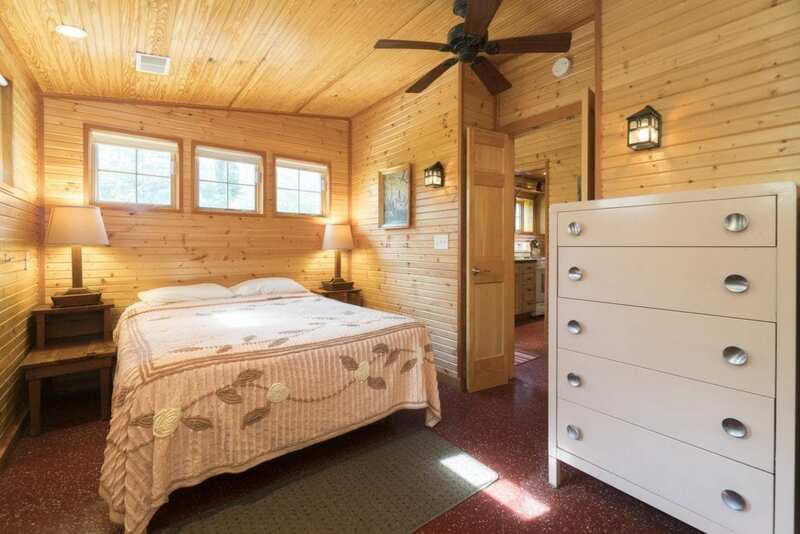 Lily’s boasts a spacious master bedroom with a king bed and view of the lake, and a second bedroom with a queen bed. 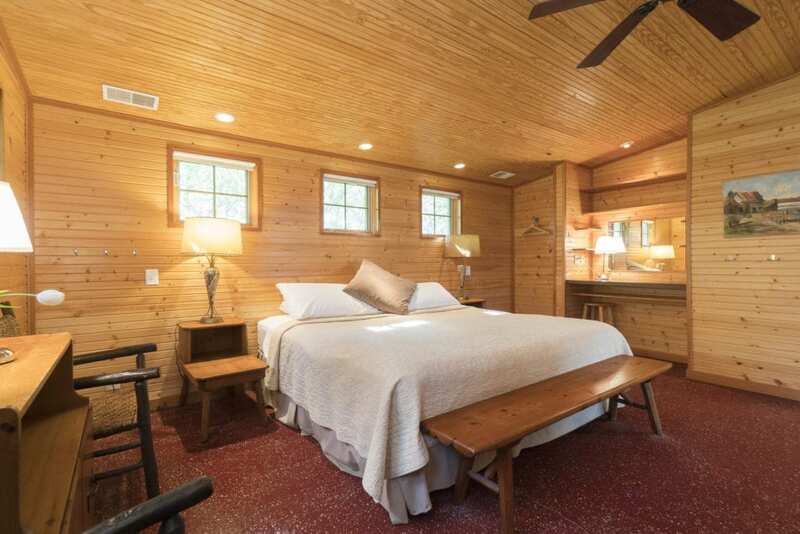 A private sleeping “berth” off of the sunporch offers a queen bed and amazing views of the lake and bluff. 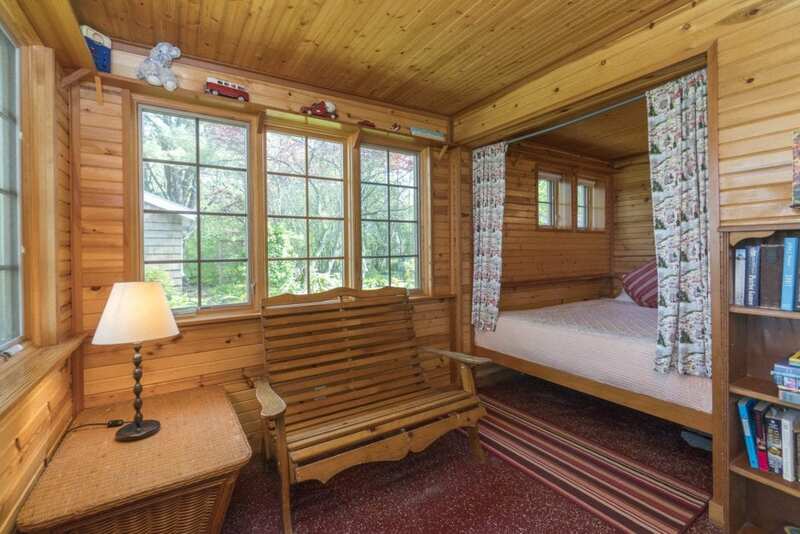 It is the perfect spot to curl up with a good book. 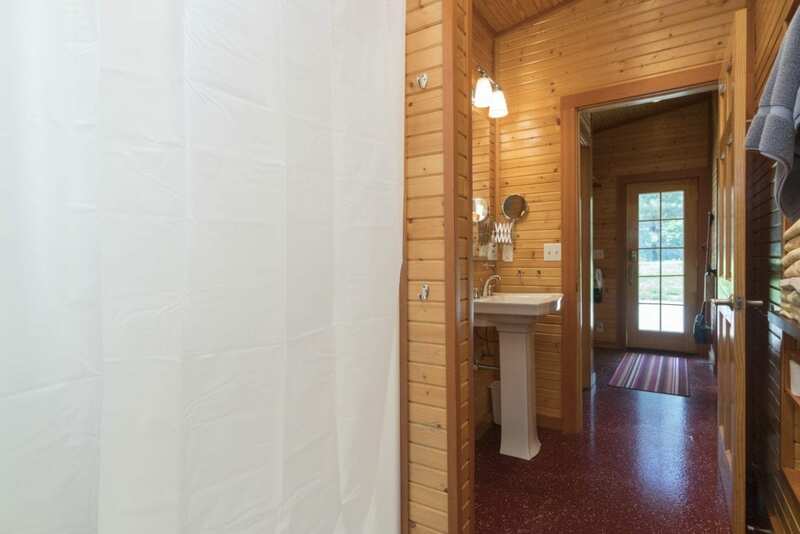 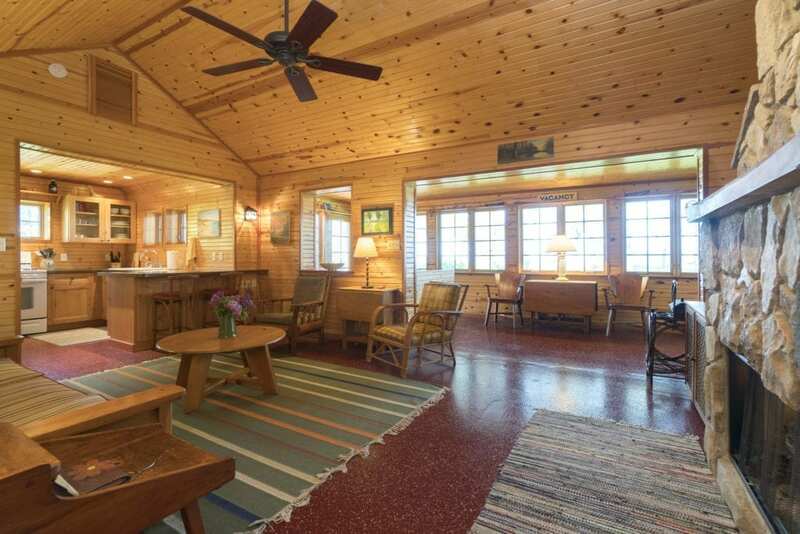 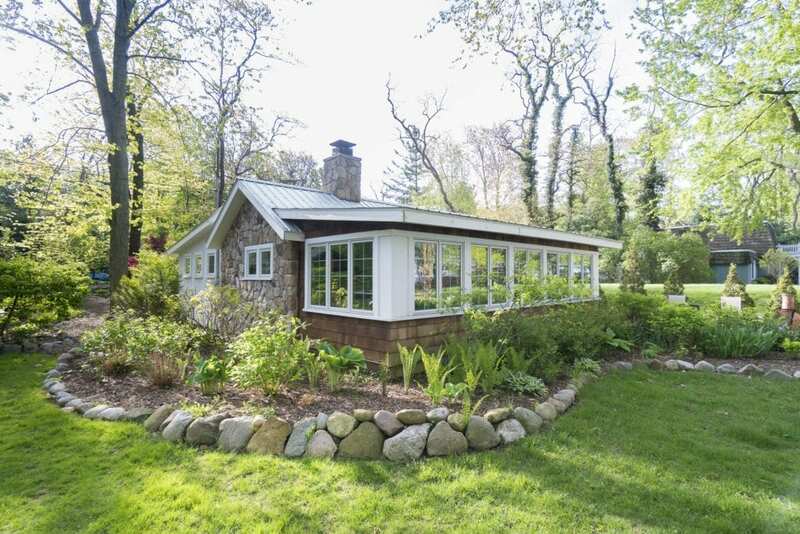 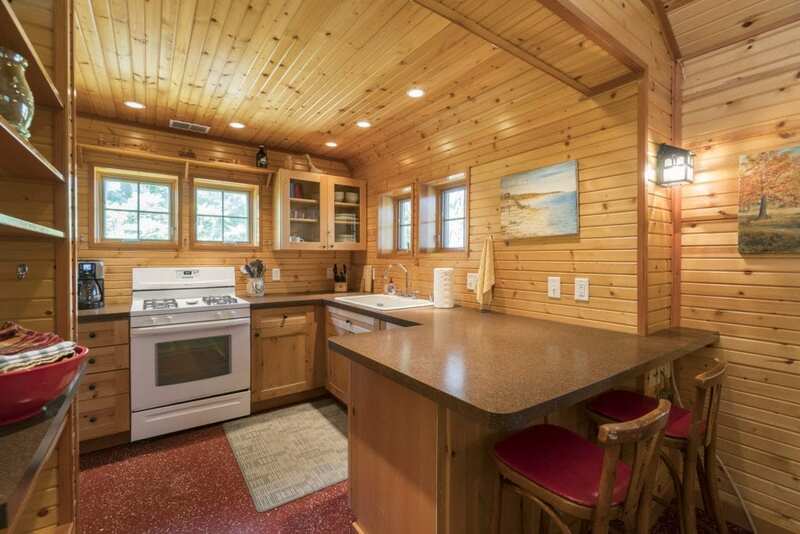 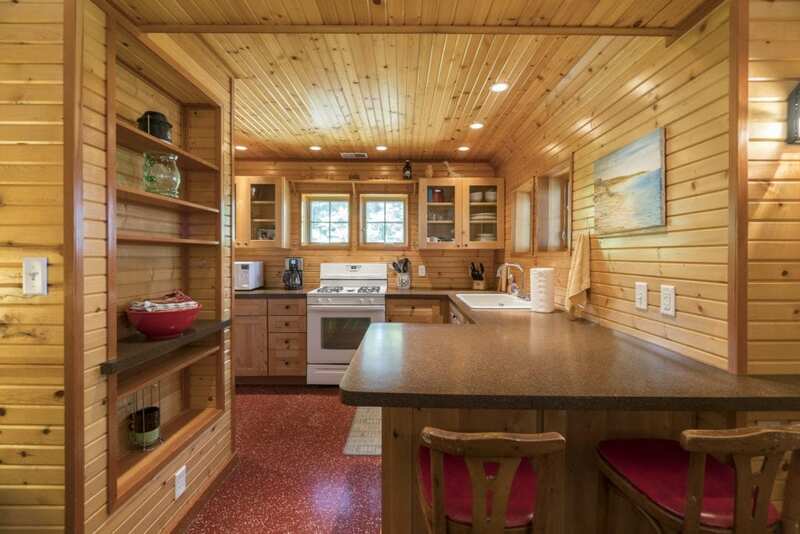 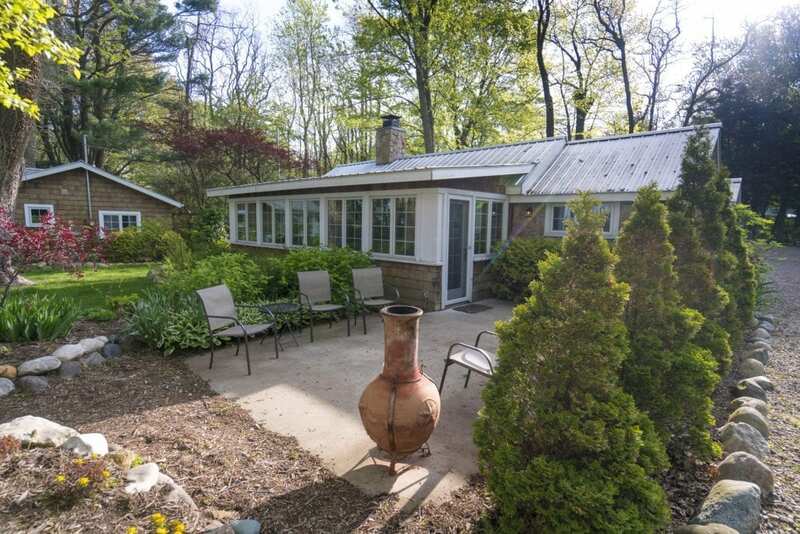 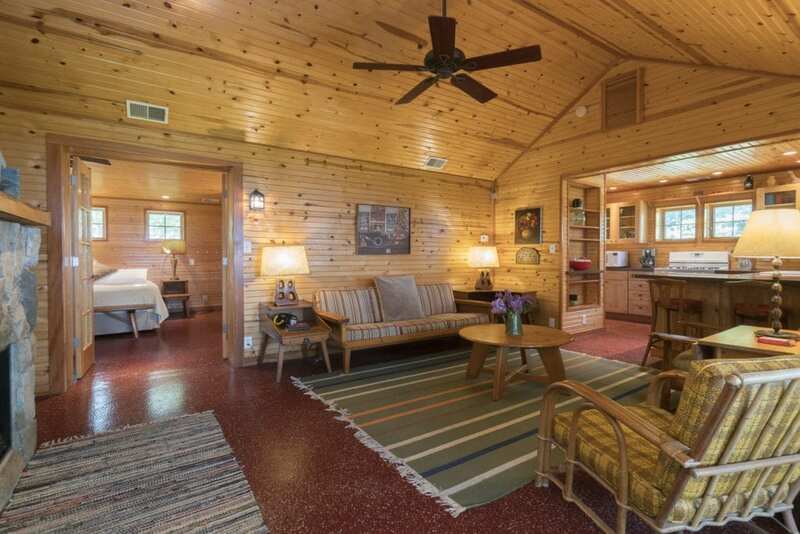 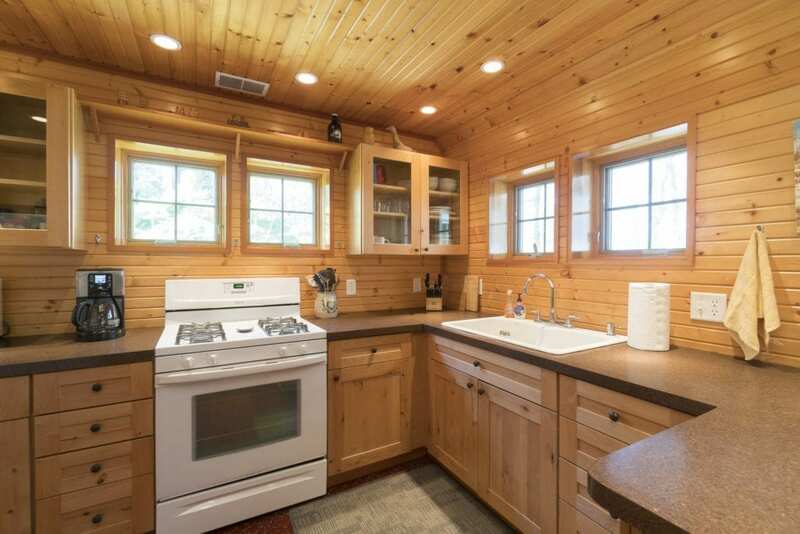 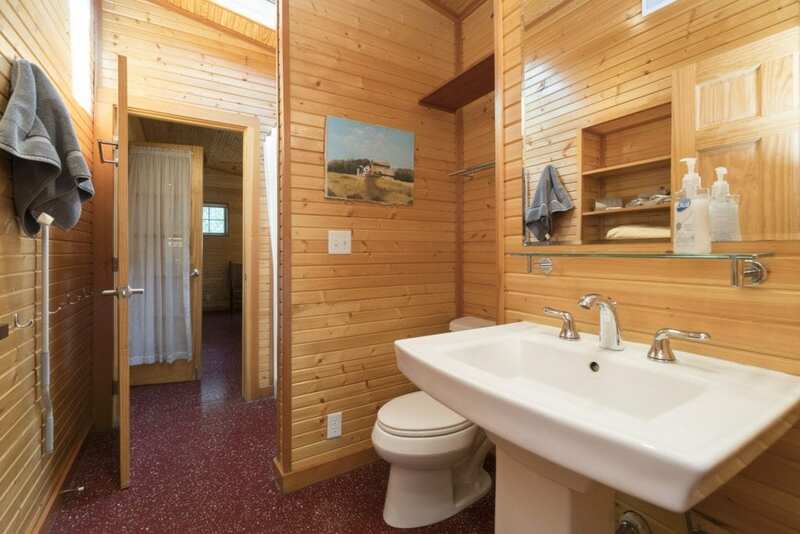 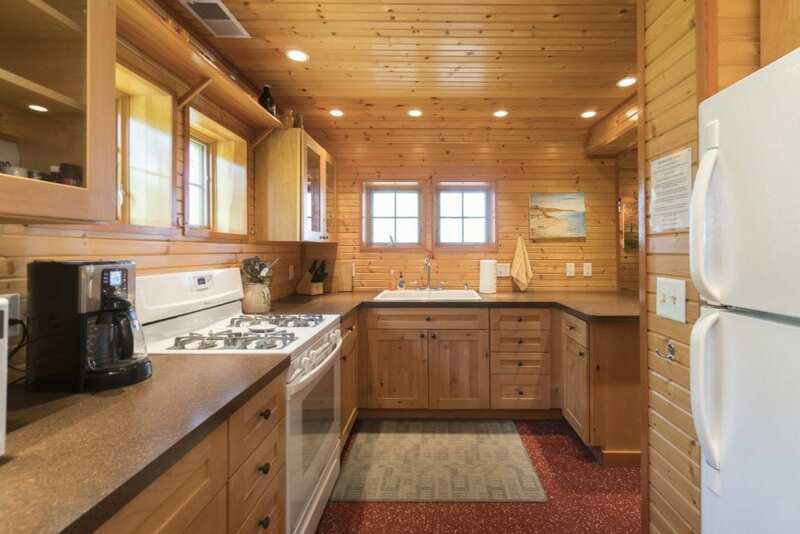 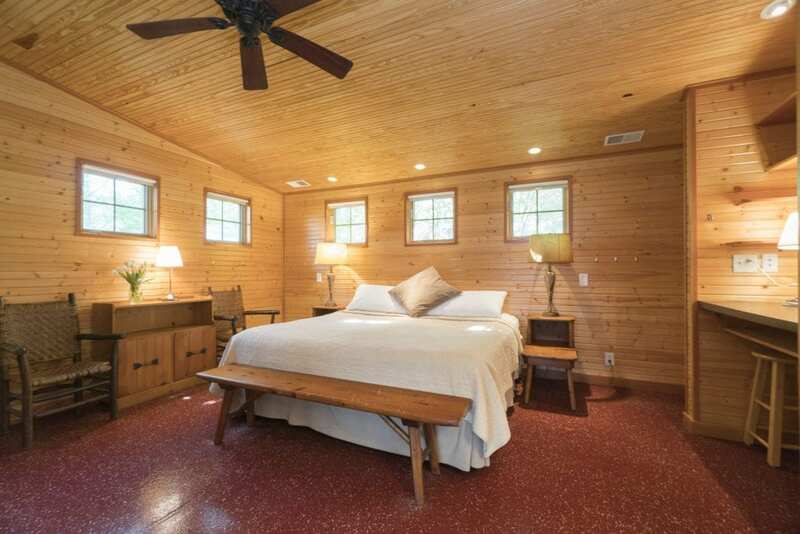 Lily’s has one bath with shower, a fully equipped kitchen, and a charming diner style booth for dining, playing games, or doing puzzles, on the sunporch. 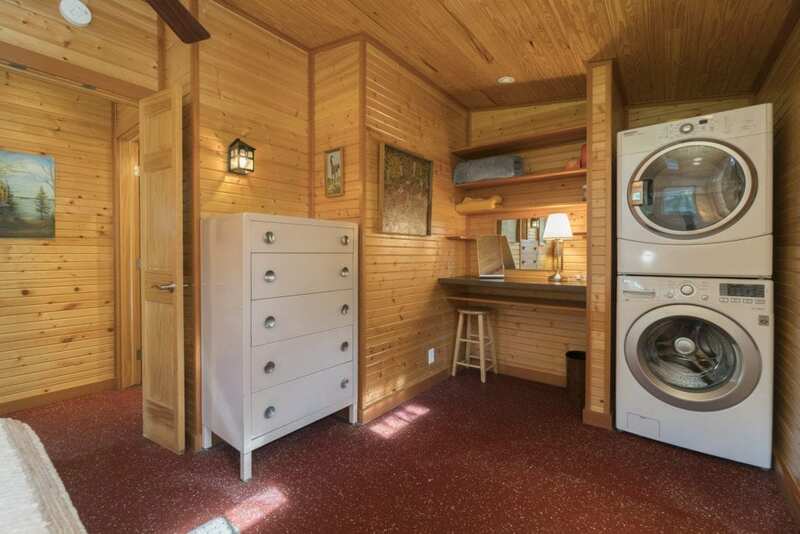 Two bedrooms (king and queen) and a sleeping nook (queen).